Since her unforgettable role in the 2011 comedy hit Bridesmaids, Melissa McCarthy has been arguably the hottest comedic actress in Hollywood. Her sitcom on CBS Mike and Molly continues to be a ratings monster and over the course of the past year she has appeared in This is 40 and The Hangover Part III. Identity Thief, however, was McCarthy’s first chance to headline a comedy as the leading lady, alongside everyone’s favorite straight man of comedy Jason Bateman.  So did McCarthy’s much hyped first starring role live up to the hype? Find out after the break…. 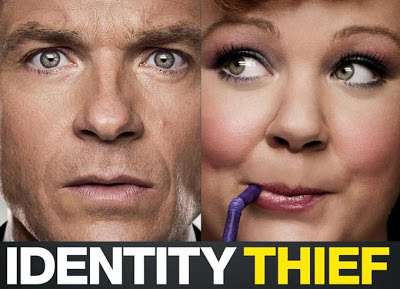 Identity Thief sets up a strong modern premise with the issue of identity theft in America, a crime that sadly affects the everyday life of many Americans. So who better to show the trials and tribulations that actual identity theft can put on the average person than Jason Bateman? Bateman once again plays that successful middle class everyday man that he plays in most of his films, which ends up clashing with, but at the same time mixing so well, with Melissa McCarthy’s portrayal of Sandy Bigelow Patterson. 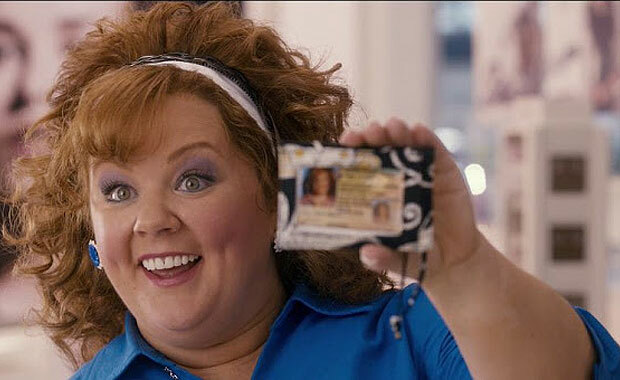 The two give each side of Identity Thief a hilarious, and at the same time heartfelt, face. 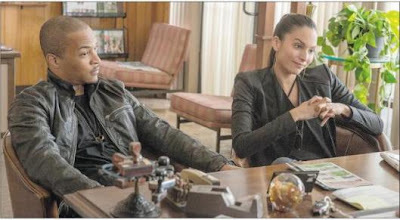 Eric Stonstreet's Big Chuck is by far the high point in an otherwise lacking supporting cast! The chemistry between Bateman and McCarthy works very well and keeps the film entertaining throughout, although there are points where the film seems to drag with noticeable gaps between laugh out loud moments. The dragging feeling is a result of the comedy's nearly 2 hour running time, which seems a little excessive for this comedy. Although there may be gaps between laugh out loud moments, when they arrive they are well worth it; it’s just a shame that this film lacks those quotable chuckle moments to carry you in between. T.I's performance was as bad as Big Chuck's was hilarious! The supporting cast of Identity Thief was strong, but aside from the two leads failed to really add anything to the movie. Jon Favreau was very forgettable as he gave a face to the 1% in this movie, John Cho's character was way too dry, and Amanda Peet seemed so uncomfortable in front of the cameras you would have thought she hadn't acted in years. Eric Stonestreet’s role as Big Chuck was one of the highlights of the film delivering some of the raunchiest, but for better or worse, unforgettable moments of the film. It was also nice to see Ellie Kemper continue the comedic rapport she developed with McCarthy in Bridesmaids during her brief waitress cameo in this film. Also, will someone please tell T.I to stay away from the movie screen unless he is playing a fictionalized version of himself like in Takers? Overall, Identity Thief was a successful headlining comedy debut for Melissa McCarthy as she set out with Jason Bateman to right her wrongs in a raunchy, action laugh fest that delivered in some spots but lacked in others.